Highly-rated Cornish psychers HANTERHIR have unveiled a brand new video ahead of their dates next week. 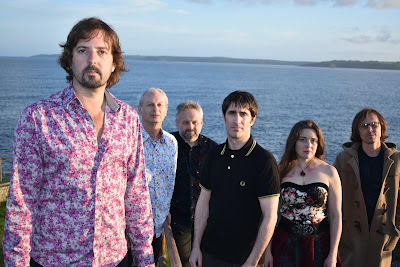 Taken from their widely lauded new album The Saving Of Cadan, ‘Hope Comes With Love’ soundtracks live footage filmed at an outdoor show during the summer. 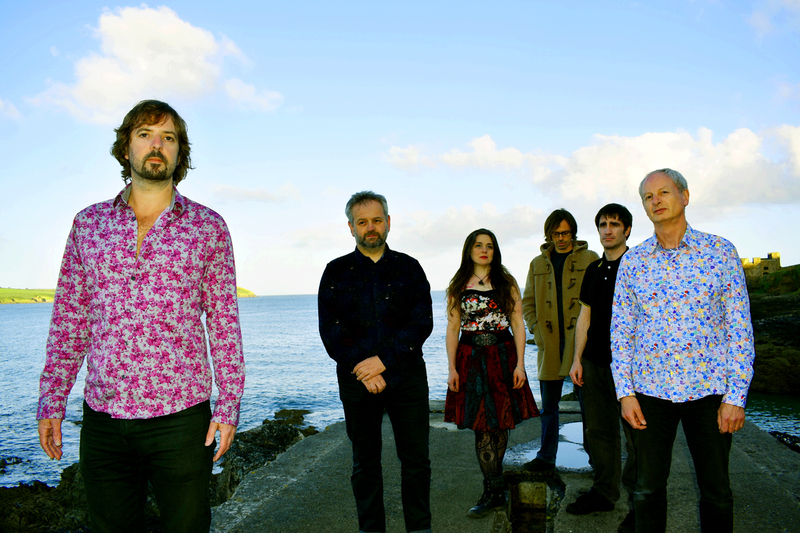 An expansive and diverse concept album sung in Cornish and English and covering five sides of vinyl, The Saving Of Cadan was recorded on a llama farm and in a former Methodist chapel. Hailing from Redruth, the band have developed their sound in isolation from the mainstream, drawing on a diverse set of influences from psych and space-rock to folk and post-punk, suggesting traces of the Psychedelic Furs, Felt, Espers, Sonic Youth and Hawkwind. 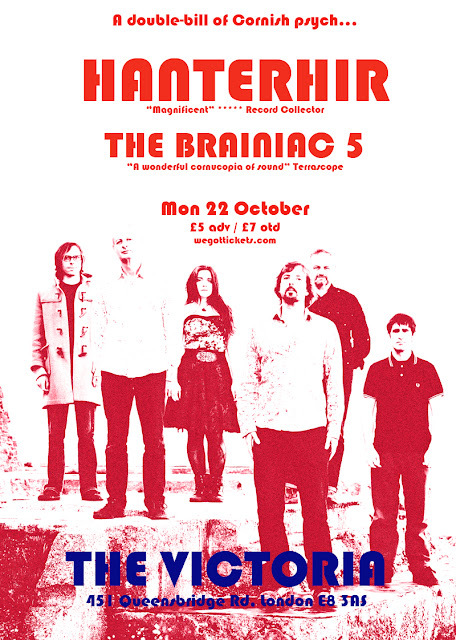 Hanterhir have spent the summer playing gigs and festivals throughout the South-West, including Boardmasters and Harvest Gathering, and this month move further afield, to include a rare London show at The Victoria in Dalston, where they'll be joined by rejuvenated Cornish psych-punk veterans The Brainiac 5. The Saving Of Cadan is out now through Easy Action Records. "Oozes occult magnificence." **** Shindig! “Loneliness as a sentiment seems to be a prevailing theme in my songs. I am always looking for that old lonesome feeling in a chord change or some melody line." Two years in the making, the debut album by Scottish songwriter Drew Morrison and his band The Darkwood follows their critically well received Tales of Love, Sadness & Rock‘n’Roll EP, described by PennyBlackmusic as “a fine first offering of enormous potential from which promises much for the forthcoming album”. 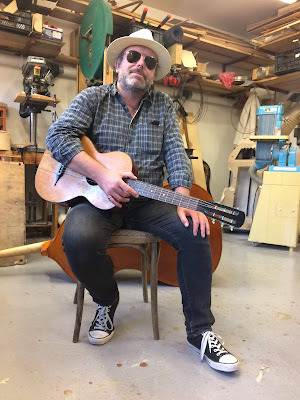 Electric-Notes Wild, released on the band's own Storm Cloud Agency Records, is a collection of 10 tracks showcasing Drew Morrison and his love of song. A questing musical soul, Morrison has described his music as being for “the lonesome fugitive within us all”. 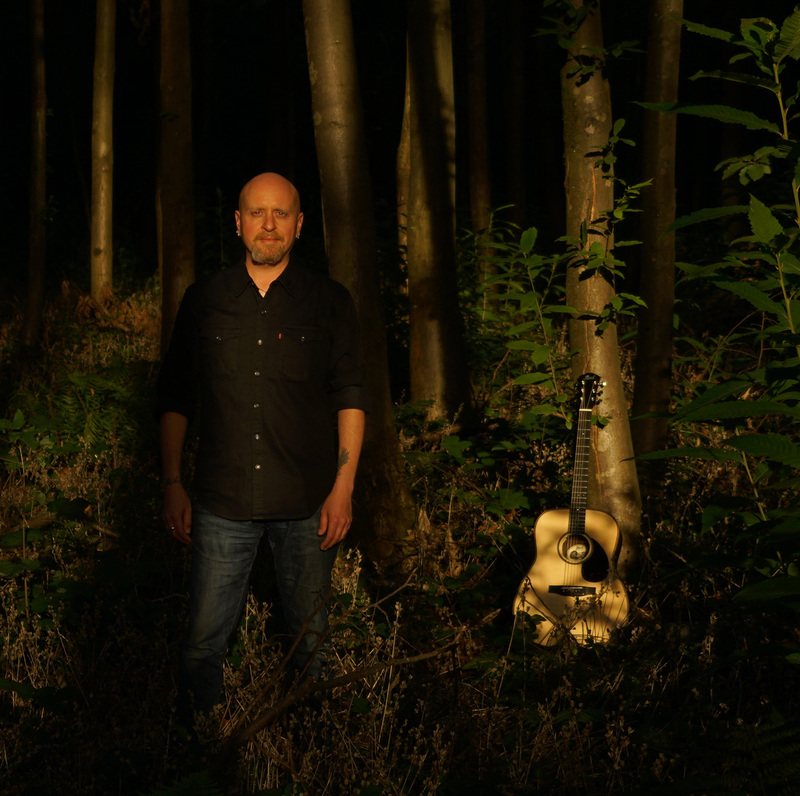 In The Darkwood he is backed by Phil Carwardine and Martin Murray (guitars), Mike Hughes (bass, backing vocals) and Nick Steyn (drums). 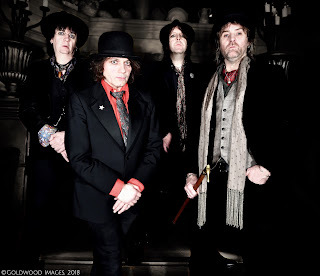 Despite line-up changes along the road, the band's central vision of a music touched by influences ranging from alt.country, pop and rock’n’roll, all tinged with 'golden chording', has remained focused and has realised itself into a unique sound. At the Country Soul Sessions in London’s Soho the band are simply known as 'the house band' and have, over five years, performed with the acts that have played at the club; artists such as Rotifer, Paul McClure and The Local Heroes, Matthew Edwards and The Unfortunates, Morton Valence, Bob Collum and The Welfare Mothers, Lynette Morgan and The Blackwater Valley Boys and many, many others. The album was recorded at Bonafide, Reservoir and Project-a-Sonic studios with guest musicians including Tim Pearson of the East Lonesome Drifters and Henry Senior from Danny and the Champions of the World. Electric-Notes Wild is a set of songs born from innocence, experience and ultimately the faith in the powers of music to still entertain and thrill. Four years on from the release of the acclaimed Burnt Offerings, London songwriter Trent Miller returns with his fourth album. 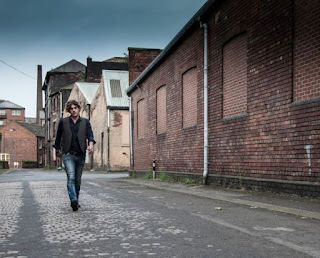 Time Between Us carries on the trajectory set by its predecessor, which saw Miller begin to emerge from the darkness that overshadowed his first two albums Cerberus (2009) and Welcome To Inferno Valley (2011), towards a hopeful glimmer on the horizon and a new maturity in songwriting. 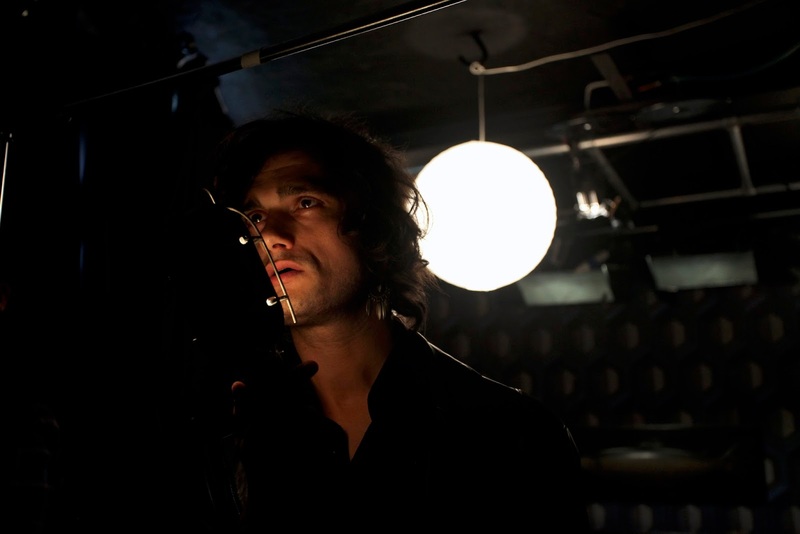 Like Burnt Offerings, Time Between Us was recorded at Reservoir Studios in North London, co-produced by Trent with Graham Knight of Simple Kid and Orphan Colours. The album also features Trent’s regular accomplices, guitarist Paul Cuddeford (Ian Hunter, Cat Stevens, Holy Holy), violinist Barbara Bartz (Dana Immanuel, Penny Black Remedy), cellist Bethany Porter and drummer Patrick Degenhardt. Born and raised in the countryside of north-western Italy, fuelled by dreams of rock’n’roll, Miller made his way to London as a youth, joining the just-blooming Americana circuit. Carrying with him the dual influence of the Beats and darkly troubled songwriters like Gene Clark, Jeffrey Lee Pierce and Thin White Rope’s Guy Kyser, he made his recorded debut on the album Hidden Desert, a tribute to the latter much missed Northern Californians. Releasing his debut Cerberus himself, he later signed up to release his second album Welcome To Inferno Valley with the recording arm of highly-regarded underground magazine, Bucketfull Of Brains, also responsible for John Murry’s groundbreaking The Graceless Age. Time Between Us is set for release on 6 April, preceded by the single 'How Soon Is Never' on 16 March. As the title suggests, Restless - the fourth studio album from English songwriter John Forrester - explores the transient underpinning of the lone musician: songs of travel, displacement, creativity and disappointment sit alongside those that explore the journey we all make through life. These events seeped into Forrester’s writing. “It certainly coloured the album. There are songs that wouldn’t have otherwise existed. The album changed shape.” Previously recorded songs no longer seemed right and new work emerged as Forrester’s world changed irrevocably – and when recording resumed, a broader canvas was laid out upon which the new songs were afforded more room to breathe and be heard. Working with a producer - Fairground Attraction’s Roy Dodds – for the first time, Forrester was encouraged to play less and not fill every pocket of the aural spectrum. The result is a cohesive yet adventurous album that, although reminiscent of Forrester’s earlier work, explores new ground both musically and lyrically. 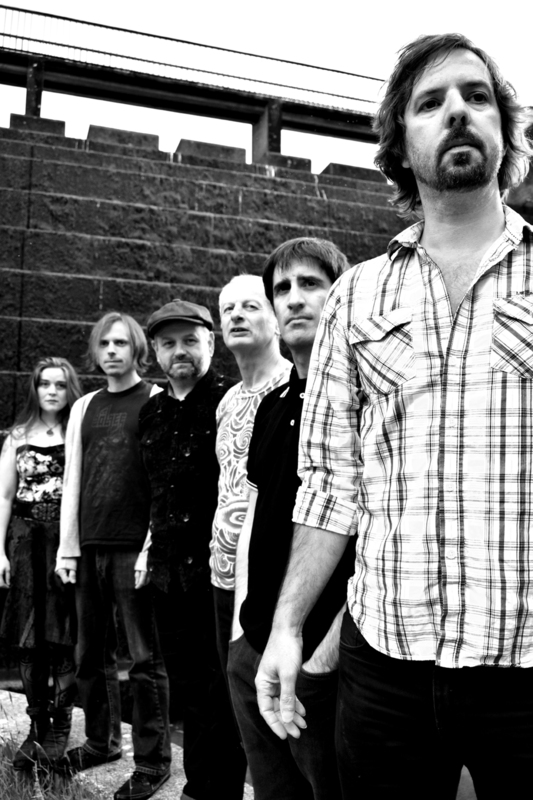 From the a cappella opener ‘Richmond Hill’, where the singer earmarks a place of personal pilgrimage for future reflection, to ‘Somewhere I Can Be’, the lead-off single, a song for “all the bits of us that we leave behind”, the general mood of the LP captures the essence, drive and complexities of the restless soul. ‘Butterfly Catcher’ “was inspired by people that seek to take your time and energy when you don’t want to give it. It’s about boundaries and not giving too much of yourself away”, while ‘Restless Bones’ is an autobiographical look at the passing of time and friendships. Restless is an album born of change – with two very different sides owing to its divided recording process. It’s also a record that relishes in a newfound sense of experimentation and collaboration, while staying true to its creator’s restless soul. 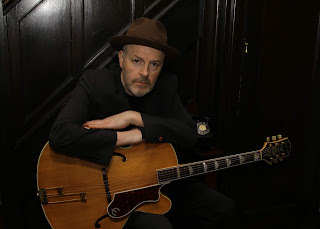 As a solo performer, Forrester has shared stages with the likes of Show Of Hands, Nick Harper and John Kirkpatrick. An accomplished electric and double-bass player, he has also served with Pressgang and, currently, Rastko, The Outcast Band and Robb Johnson. Restless is due for release on 23 February through Irregular Records. Texan songwriter Ash Gray returns with his second solo album Chicken Wire. Having relocated over the past decade from Austin to Sheffield via New York City, Ash is, in the truest sense, a troubadour, falling in with likeminded folk wherever he ends up. Nowhere is this better exemplified than on Chicken Wire. Ash recruited friends from the Sheffield music scene to lay down the basic tracks, later inviting musicians from back home in Austin to add their own touch. Ash then collaborated with noted Austin producer Chris ‘Frenchie’ Smith (Meat Puppets, Datsuns, Dandy Warhols etc) on the final mix. The end result blends country and bluegrass with undertones of psych, rewriting the grand Austin tradition of the ‘cosmic cowboy’. Chicken Wire is released on Friday 26 January.